Westmead Redevelopment director of furniture, fixtures and equipment, Ashley Fuller. Westmead’s new hospital building, which is opening in 2020, will require thousands of pieces of furniture, fixtures and medical devices. Staff committees will be busy trialling equipment, ahead of final purchasing decisions and a new testing area will help the team to continue this work. 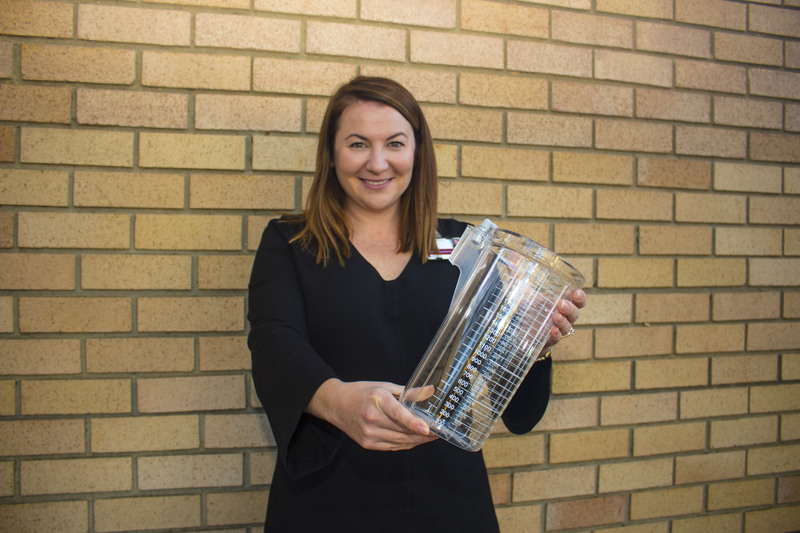 Westmead Redevelopment’s director of furniture, fixtures and equipment Ashley Fuller reflected on the large planning, purchasing and relocation process underway. “We are purchasing thousands of items for the new hospital building,” she said. The procurement process for furniture, fixtures and equipment is currently underway and is informed by recommendations from staff committees, called selection committees. The committees include nurses, doctors, administrative and other staff from Western Sydney Local Health District, the Sydney Children’s Hospitals Network and the University of Sydney. Committees guide the Westmead Redevelopment project team on products to be purchased for the new hospital building and refurbished areas. Before each item is chosen, the selection committee members consider things like infection control, the expected lifetime of the product, maintenance requirements and replacement processes. Ashley noted the committee members were carefully assessing existing furniture and equipment before making new purchasing decisions. “The units that are moving into the central acute services building are looking closely at what they can reuse, repurpose or recycle,” she said. The Westmead Redevelopment project is opening a new temporary testing area in Westmead Hospital. Committee members will use this space to review items like chairs, tables, beds and medical equipment. The new testing area will also be a space for meetings and to seek final feedback from other groups and individuals across Westmead.